Stress - it can sap our energy, undermine our health if we let it, even shorten our lives. It makes us more vulnerable to anxiety and depression, disconnection and disease. Based on Jon Kabat-Zinn’s renowned mindfulness-based stress reduction program, this classic, groundbreaking work - which gave rise to a whole new field in medicine and psychology - shows you how to use medically proven mind-body approaches derived from meditation and yoga to counteract stress, establish greater balance of body and mind, and stimulate well-being and healing. By engaging in these mindfulness practices and integrating them into your life from moment to moment and from day to day, you can learn to manage chronic pain, promote optimal healing, reduce anxiety and feelings of panic, and improve the overall quality of your life, relationships, and social networks. This second edition features results from recent studies on the science of mindfulness, a new Introduction, up-to-date statistics, and an extensive updated reading list. 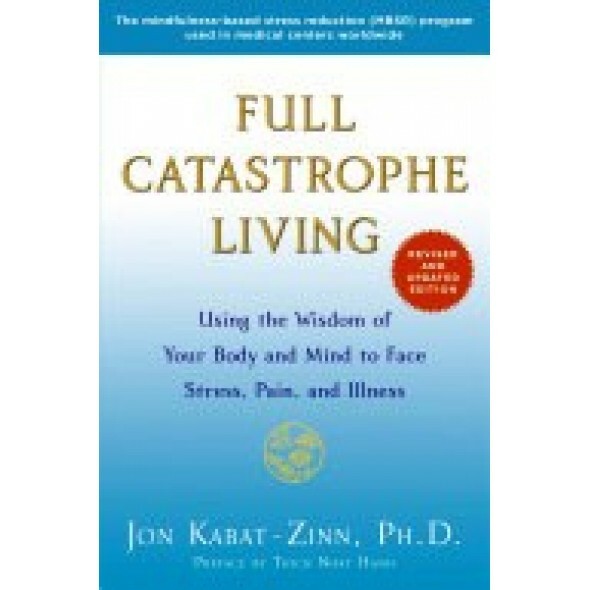 Full Catastrophe Living is a book for the young and the old, the well and the ill, and anyone trying to live a healthier and saner life in our fast-paced world.